Martin Scorsese’s electrifying adaptation of Nicholas Pileggi’s true crime bestseller Wiseguy: Life in a Mafia Family is a shot of cinematic adrenaline that charts the rise and fall of real-life mobster Henry Hill (Ray Liotta), his wife Karen (Lorraine Bracco), and his partners Jimmy (Robert De Niro) and the violent, unpredictable Tommy (Joe Pesci). 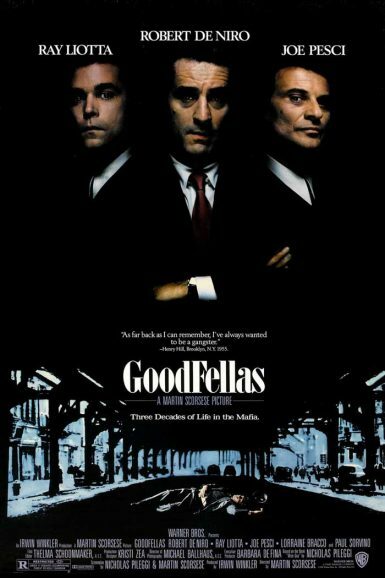 Told over three decades of life in the mafia, GoodFellas is a stylish, sharply-detailed masterpiece fueled by a propulsive period soundtrack, razor-sharp editing by Thelma Shoonmaker, and unforgettable performances by its pitch-perfect cast. Scorsese has never been better. Kim Morgan writes about GoodFellas on the New Beverly blog. See a set of GoodFellas lobby cards on the New Beverly forum. Recently released from prison, Machine Gun McCain (John Cassavetes) returns to a life of crime, only to find himself a pawn in a ruthless mob rebellion. But nobody stands between McCain and his money… or his machine gun, erupting an all-out gang war. 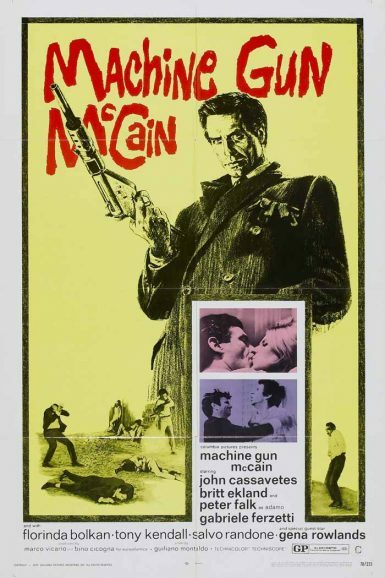 Kim Morgan discusses Machine Gun McCain on the New Beverly blog.